Creation of this place is connected with a story the moral of which says that in sports competition it is the respect for the opponent and fair play that count most. In the spot where two young men fought a duel for a girl’s hand a Valley of Power and Vitality came to being where until this day you can compete in various events, perfecting at the same time form, agility and stamina. In the Valley of Power and Vitality everyone, regardless of their age and physical abilities, will find something good for themselves. 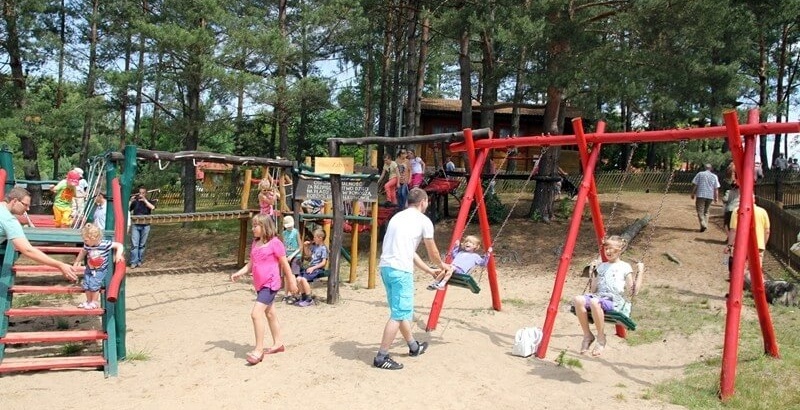 For the youngest we have prepared a small zoo and a play ground, for those avid for adventures and adrenaline – ropes course and quads, while for those who enjoy rivalry tennis and volleyball courts. In the Fairy Tale Hideaway nature and its surroundings are our gym. You can match for it by Nordic Walking, jogging on end along the forest paths, cycling along marked out routes or by rowing across the Guzowy Piec lake. It is important to draw joy and pleasure and make the most of nature with all your powers.